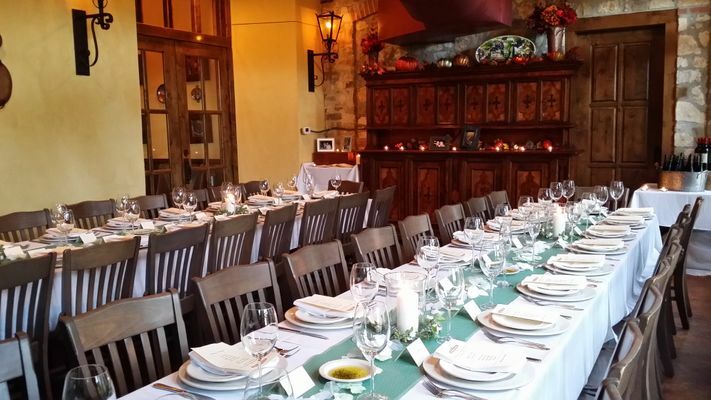 The Mandola Estate and Trattoria Lisina offer a variety of venues for your special occasion. We will help you envision and create the party of your dreams. For memorable functions, we have several options. Trattoria Lisina provides your guests with stunning views from our enclosed Veranda. The veranda can comfortably accommodate up to 175 guests for a seated dinner and 225 for a cocktail reception. It can also accommodate smaller groups that don't require a fully private space. Contact our Events Coordinator for more details via email or at 512-221-0773.